In the last in our series of interviews with the sponsors of the four major prizes to be awarded at The Pixel Market 2012 in October, we talk to Michel Reilhac, Executive Director of ARTE France Cinéma, about the ARTE Pixel Pitch Prize. Every production team presenting a project at The Pixel Pitch is in with a chance of winning this prestigious £6,000 award, which the French broadcaster is generously providing for a third year running. Here, Michel explains ARTE’s commitment to its partnership with PttP, and why cross-media has weathered the economic storm. 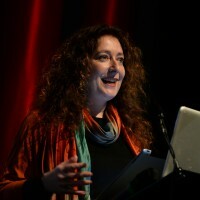 Power to the Pixel: ARTE works very closely with PttP. Can you describe the significance of this relationship to ARTE? Michel Reilhac: We consider Power to the Pixel (PttP) to be a leading transmedia advocate in Europe and the world. As ARTE has now set hybrid content as its core strategic reason for being and operating as a content provider, our partnership with PttP represents our will to be at the forefront of how hybrid storytelling develops. It allows us to convey to the industry the signal that we are committed to supporting this new form in the art of storytelling.PttP: In awarding the ARTE Pixel Pitch Prize, what qualities will the judges be looking for? MR: We will be looking for truly native hybrid content, stories that are built from conception up onto different platforms, integrating the specifics of each platform to complement each other and enrich the whole story experience for the participant. 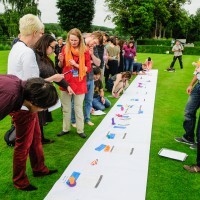 The fuller and more complex the story experience for the participative audience, the better…! PttP: What do you think producers can gain from The Pixel Market, and the competition for awards? MR: Producers can learn from each others’ projects. 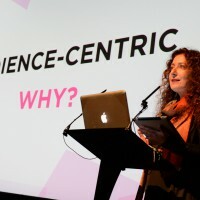 It is a unique gathering of both creative and business talents, all motivated by exploring the new field of hybrid storytelling. The mere contact of all these like-minded and expert people is in itself a very enriching experience; it is a networking opportunity like no other; and the producers’ projects will gain a lot of visibility through this same community. Finally, the market provides the best occasion for finding potential financial or creative partners to push the projects further. PttP: Has the economic climate affected investment in cross-media properties? MR: The economic crisis actually helps promote the business of hybrid stories as the traditional model of producing and distributing films or TV programmes works less and less for truly creative and independent films. The independent film industry feels a dire need to come up with new models and new ways to address a drastically changing behavioural pattern from the audience.